Gloria Allred's ego knows no bounds and now she is pretending to be a judge. She gives reality TV a bad name. And reality TV is all ready bad and now here she is pretending to be a reality show which is all fiction made up to look like reality TV. I can't stand watching Ms. Allred dress like a judge, being called judge, when she is just playing dress up. I remember the first time I noticed this show and I thought, "When did Gloria Allred become a judge?" And, of course, the answer is that she never did. Another thing that kills me is that IMDb requires reviews to be 10 lines long. I don't want to use 10 lines of text to tell you you how terrible this show is. 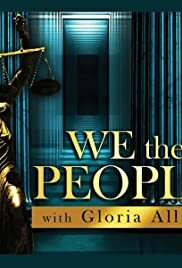 I can say it quickly, Gloria Allred stinks.